在尼日利亞註冊公司的要求 - 尼日利亞律師事務所 - 尼日利亞律師. 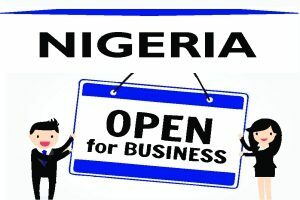 For any business, 無論是小, 中型或大型尋求在非洲設立, Nigeria is the primary location for commerce and investment in the African region. 本刊物給出了一個快照 在尼日利亞註冊公司的要求. 術語“尼日利亞公司”被廣泛用作速記“尼日利亞私營有限股份公司”. 這是最流行的四個的 (4) types of business entities in Nigeria because it is a 有限責任的商業實體 for both local and foreign investors. “公司”或“限定”通常被用作“有限公司”的縮寫. 從業主單獨負債: Company’s liabilities are limited to capital invested into the company. 易公司註冊: None of the directors and shareholders are required to be present in Nigeria. 提名: Use of nominee director and shareholder is not restricted. 我們的律師事務所負責處理公司的組建和 在尼日利亞商業登記. 我們將充當尼日利亞的法定代表人和內納入新的公司為您 5-7 工作日. 如果你喜歡 獲得 現有的尼日利亞公司是否合併的方式 & 獲得, 接管, 或購買和承擔, 請注意，這樣的公司出價將取決於可用性, 批准由美國證券交易委員會 (SEC) 和制裁由聯邦高等法院, 因此，它的成本比新公司的更多. 提出了三個 (3) 按優先順序名稱為我們的辦公室，了解他們的任何可用性中的公司註冊 (要么, 在我們的現成公司名單). 最低法定股本註冊尼日利亞公司的外資股東(小號) 是NGN10億 (US $二七七七七). 對於全資尼日利亞私營公司, 它是NGN10,000 (US $ 26) 和NGN500,000 (US $ 1,388) 為上市公司. 股份可以用於非現金對價發行規定，公司章程，公司許可證的那. 然而, 實收資本要求最低為零 (NGN0) US$0. 換一種說法, 它不是強制性存款的任何款項作為啟動資金，為公司的註冊. 私人公司必須有至少 2 董事 (非員工股東), 但不超過 50 會員. 註冊後，我們會得到你的公司成立文件的核證副本從公司事務委員會. 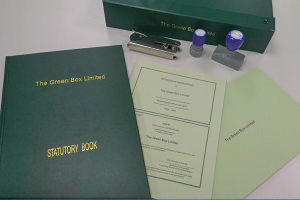 These documents will be required by Nigerian Banks when you want to open a corporate bank account for the company.